The easy part of producing a podcast episode is the actual recording of the show. Sure, there's some prep work and research that is needed to be done beforehand, but when you sit down with your friends to talk about something you love, you could do it without notes and it would still sound pretty good. The hard part is the actual production of the episode - the audio editing, the writing of the introduction and show notes and now trying to provide a useful blog post to go along with the podcast episode, but I digress. 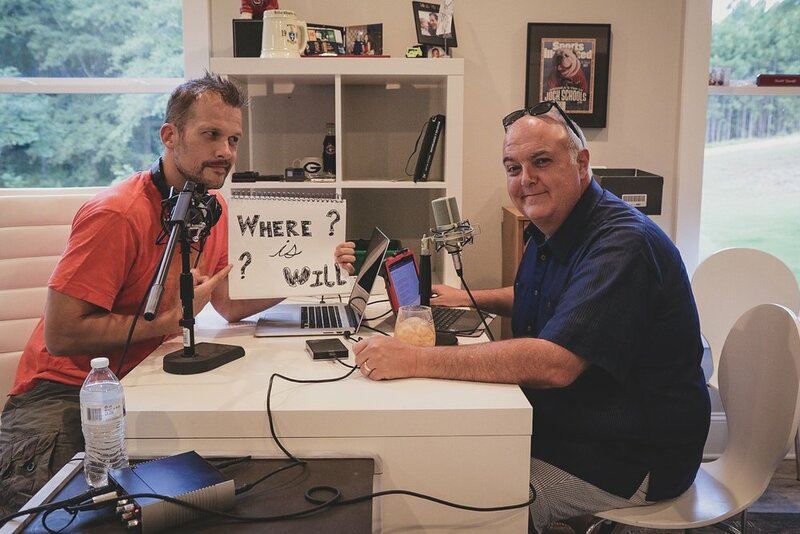 Pondering what we're going to talk about and missing our co-host Will. 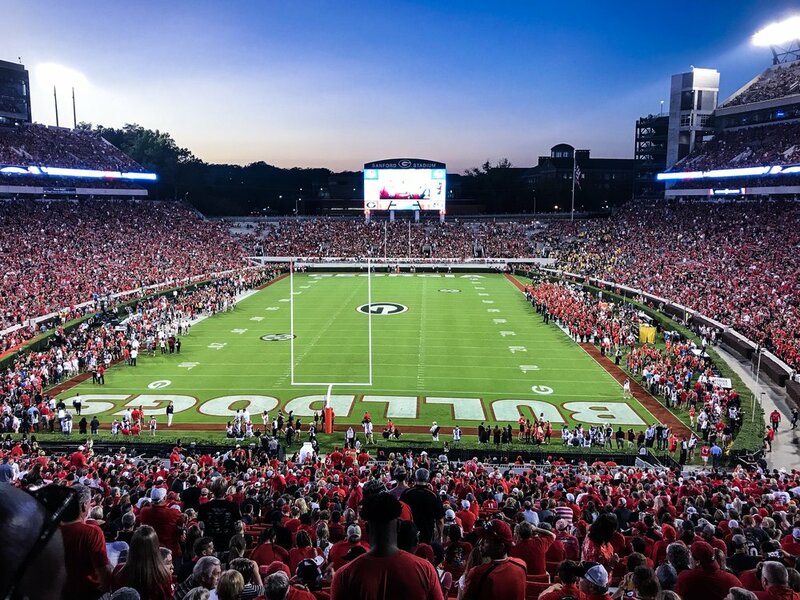 The defending SEC Champion Georgia Bulldogs open their 2018 college football season on September 1st, which at the time of this writing is about eight weeks away. Consider this episode (linked below) a primer to when we get back into regular uploads in a few months. For this particular show, we really missed our 3rd co-host, Will. But Tony and I had a lot of fun sharing our thoughts about the upcoming season. In the introduction of the podcast episode, I read a quote by Andy Warhol which said, "The idea of waiting for something makes it more exciting." If you really think about those ten words he once said, it is pretty true. If we didn't have something to look forward to - life would be pretty boring, wouldn't it? In the episode, I mention how my kids have been counting down the days until we take a quick trip down to Great Wolf Lodge (the new indoor water park in LaGrange, Ga). They've created a countdown calendar and talk about what they're going to ride, telling me what I should ride and everything else they plan on doing during the two days that we are there. Who knows if it will be the greatest experience of watery fun of their lives? But I feel like we, as parents have already won, simply because of the joy my kids have already experienced in their anticipation, which according to Andy Warhol, makes the trip more exciting - and I tend to believe that. As Georgia football fans, we were provided a gem of a season last year, one of the best seasons ever for the program. We have the memories for 2017 and they're great - the victory over Notre Dame in South Bend, the dominating SEC Championship game victory over Auburn and the Espy nominated Rose Bowl overtime victory versus Oklahoma. But, this only leads to equally high expectations for this coming fall, right? 2017 Georgia vs Missouri as the sun sets in Athens. High expectations are fine and warranted for this team as we place our trust in Kirby, but if you think about it, listening to preview podcasts, buying and reading the preseason magazines and counting down the days from 100 to 1 are fun for us. We shouldn't just wish the season start this weekend. The wait builds anticipation and that's great because who doesn't want to get back on campus to tailgate in our favorite spot and see the beauty of Sanford Stadium once again. I know I do. ** In honor of the 2018 Rose Bowl victory being nominated for an Espy, here's the viral Rose Bowl video I produced of us living and dying with every single huge play.